HUNGAROTHERM (building engineering) and ENEO will be in this year the most important sub-exhibition's of Construma. 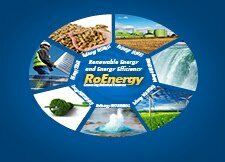 Between 10-14 April 2013 in Hungexpo Budapest will be present manufacturing firms or distributing tools of alternative energy use. The most sought after thematic of CONSTRUMA is for years – and more and more since the deepening of the recession – include renewables, green energy and related solutions, devices. This topic is a high priority for both the professionals and the public.